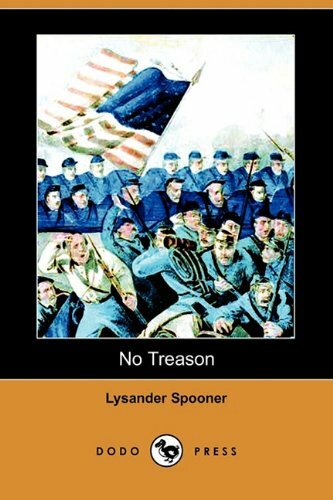 No Treason (Dodo Press) Lysander Spooner Best Price: $11.01 Buy New $5.00 (as of 05:45 EDT - Details) Let us consider these two matters, voting and tax paying, separately. And first of voting. “In truth, in the case of individuals, their actual voting is not to be taken as proof of consent, even for the time being. On the contrary, it is to be considered that, without his consent having even been asked a man finds himself environed by a government that he cannot resist; a government that forces him to pay money, render service, and forego the exercise of many of his natural rights, under peril of weighty punishments. He sees, too, that other men practice this tyranny over him by the use of the ballot. He sees further, that, if he will but use the ballot himself, he has some chance of relieving himself from this tyranny of others, by subjecting them to his own. In short, he finds himself, without his consent, so situated that, if he use the ballot, he may become a master; if he does not use it, he must become a slave. And he has no other alternative than these two. In self-defense, he attempts the former. His case is analogous to that of a man who has been forced into battle, where he must either kill others, or be killed himself. Because, to save his own life in battle, a man takes the lives of his opponents, it is not to be inferred that the battle is one of his own choosing. Neither in contests with the ballot  which is a mere substitute for a bullet  because, as his only chance of self- preservation, a man uses a ballot, is it to be inferred that the contest is one into which he voluntarily entered; that he voluntarily set up all his own natural rights, as a stake against those of others, to be lost or won by the mere power of numbers. On the contrary, it is to be considered that, in an exigency into which he had been forced by others, and in which no other means of self-defense offered, he, as a matter of necessity, used the only one that was left to him. The ostensible supporters of the Constitution, like the ostensible supporters of most other governments, are made up of three classes, viz. : 1. Knaves, a numerous and active class, who see in the government an instrument which they can use for their own aggrandizement or wealth. 2. Dupes  a large class, no doubt  each of whom, because he is allowed one voice out of millions in deciding what he may do with his own person and his own property, and because he is permitted to have the same voice in robbing, enslaving, and murdering others, that others have in robbing, enslaving, and murdering himself, is stupid enough to imagine that he is a “free man,” a “sovereign”; that this is “a free government”; “a government of equal rights,” “the best government on earth,” and such like absurdities. 3. A class who have some appreciation of the evils of government, but either do not see how to get rid of them, or do not choose to so far sacrifice their private interests as to give themselves seriously and earnestly to the work of making a change. 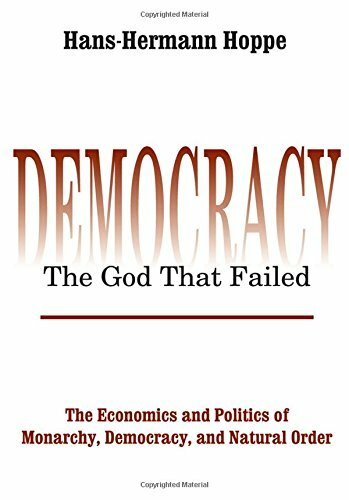 Conceived in Liberty (... Murray N. Rothbard Best Price: $49.00 Buy New $59.95 (as of 09:50 EDT - Details) But this theory of our government is wholly different from the practical fact. The fact is that the government, like a highwayman, says to a man: “Your money, or your life.” And many, if not most, taxes are paid under the compulsion of that threat. 2. Still another reason why the payment of taxes implies no consent, or pledge, to support the government, is that the taxpayer does not know, and has no means of knowing, who the particular individuals are who compose “the government.” To him “the government” is a myth, an abstraction, an in corporeality, with which he can make no contract, and to which he can give no consent, and make no pledge. He knows it only through its pretended agents. “The government” itself he never sees. He knows indeed, by common report, that certain persons, of a certain age, are permitted to vote; and thus to make themselves parts of, or (if they choose) opponents of, the government, for the time being. But who of them do thus vote, and especially how each one votes (whether so as to aid or oppose the government), he does not know; the voting being all done secretly (by secret ballot). Who, therefore, practically compose “the government,” for the time being, he has no means of knowing. Of course he can make no contract with them, give them no consent, and make them no pledge. Of necessity, therefore, his paying taxes to them implies, on his part, no contract, consent, or pledge to support them  that is, to support “the government,” or the Constitution. 3. Not knowing who the particular individuals are, who call themselves “the government,” the taxpayer does not know whom he pays his taxes to. All he knows is that a man comes to him, representing himself to be the agent of “the government”  that is, the agent of a secret band of robbers and murderers, who have taken to themselves the title of “the government,” and have determined to kill everybody who refuses to give them whatever money they demand. To save his life, he gives up his money to this agent. But as this agent does not make his principals individually known to the taxpayer, the latter, after he has given up his money, knows no more who are “the government”  that is, who were the robbers  than he did before. To say, therefore, that by giving up his money to their agent, he entered into a voluntary contract with them, that he pledges himself to obey them, to support them, and to give them whatever money they should demand of him in the future, is simply ridiculous. It is a general principle of law and reason, that a written instrument binds no one until he has signed it. This principle is so inflexible a one, that even though a man is unable to write his name, he must still “make his mark,” before he is bound by a written contract. This custom was established ages ago, when few men could write their names; when a clerk  that is, a man who could write  was so rare and valuable a person, that even if he were guilty of high crimes, he was entitled to pardon, on the ground that the public could not afford to lose his services. Even at that time, a written contract must be signed; and men who could not write, either “made their mark,” or signed their contracts by stamping their seals upon wax affixed to the parchment on which their contracts were written. Hence the custom of affixing seals, that has continued to this time. 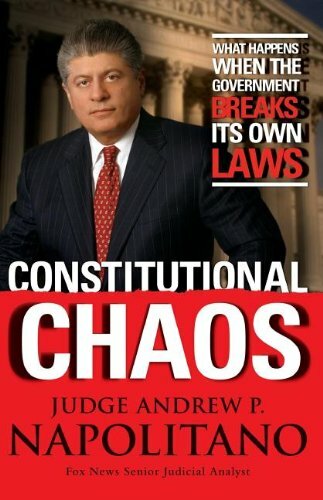 Constitutional Chaos: ... Andrew P. Napolitano Best Price: $1.01 Buy New $2.99 (as of 10:45 EDT - Details) The laws holds, and reason declares, that if a written instrument is not signed, the presumption must be that the party to be bound by it, did not choose to sign it, or to bind himself by it. And law and reason both give him until the last moment, in which to decide whether he will sign it, or not. Neither law nor reason requires or expects a man to agree to an instrument, until it is written; for until it is written, he cannot know its precise legal meaning. And when it is written, and he has had the opportunity to satisfy himself of its precise legal meaning, he is then expected to decide, and not before, whether he will agree to it or not. And if he do not then sign it, his reason is supposed to be, that he does not choose to enter into such a contract. The fact that the instrument was written for him to sign, or with the hope that he would sign it, goes for nothing. Where would be the end of fraud and litigation, if one party could bring into court a written instrument, without any signature, and claim to have it enforced, upon the ground that it was written for another man to sign? that this other man had promised to sign it? that he ought to have signed it? that he had had the opportunity to sign it, if he would? but that he had refused or neglected to do so? Yet that is the most that could ever be said of the Constitution. The very judges, who profess to derive all their authority from the Constitution  from an instrument that nobody ever signed  would spurn any other instrument, not signed, that should be brought before them for adjudication. For nearly two hundred years  that is, since 1677  there has been on the statute book of England, and the same, in substance, if not precisely in letter, has been re-enacted, and is now in force, in nearly or quite all the States of this Union, a statute, the general object of which is to declare that no action shall be brought to enforce contracts of the more important class, unless they are put in writing, and signed by the parties to be held chargeable upon them. The principle of the statute, be it observed, is, not merely that written contracts shall be signed, but also that all contracts, except for those specially exempted  generally those that are for small amounts, and are to remain in force for but a short time  shall be both written and signed. The reason of the statute, on this point, is, that it is now so easy a thing for men to put their contracts in writing, and sign them, and their failure to do so opens the door to so much doubt, fraud, and litigation, that men who neglect to have their contracts  of any considerable importance  written and signed, ought not to have the benefit of courts of justice to enforce them. And this reason is a wise one; and that experience has confirmed its wisdom and necessity, is demonstrated by the fact that it has been acted upon in England for nearly two hundred years, and has been so nearly universally adopted in this country, and that nobody thinks of repealing it. Such are some of the precautions which the laws require, and which individuals  from motives of common prudence, even in cases not required by law  take, to put their contracts in writing, and have them signed, and, to guard against all uncertainties and controversies in regard to their meaning and validity. 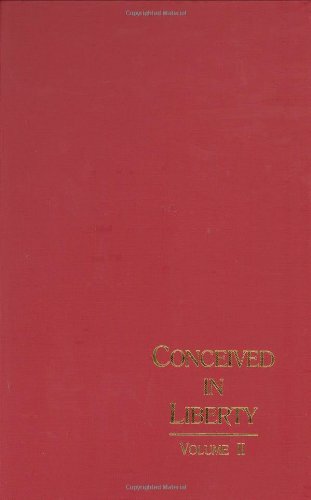 And yet we have what purports, or professes, or is claimed, to be a contract  the Constitution  made eighty years ago, by men who are now all dead, and who never had any power to bind US, but which (it is claimed) has nevertheless bound three generations of men, consisting of many millions, and which (it is claimed) will be binding upon all the millions that are to come; but which nobody ever signed, sealed, delivered, witnessed, or acknowledged; and which few persons, compared with the whole number that are claimed to be bound by it, have ever read, or even seen, or ever will read, or see. And of those who ever have read it, or ever will read it, scarcely any two, perhaps no two, have ever agreed, or ever will agree, as to what it means. Moreover, this supposed contract, which would not be received in any court of justice sitting under its authority, if offered to prove a debt of five dollars, owing by one man to another, is one by which  as it is generally interpreted by those who pretend to administer it  all men, women and children throughout the country, and through all time, surrender not only all their property, but also their liberties, and even lives, into the hands of men who by this supposed contract, are expressly made wholly irresponsible for their disposal of them. And we are so insane, or so wicked, as to destroy property and lives without limit, in fighting to compel men to fulfill a supposed contract, which, inasmuch as it has never been signed by anybody, is, on general principles of law and reason  such principles as we are all governed by in regard to other contracts  the merest waste of paper, binding upon nobody, fit only to be thrown into the fire; or, if preserved, preserved only to serve as a witness and a warning of the folly and wickedness of mankind. It is no exaggeration, but a literal truth, to say that, by the Constitution  not as i interpret it, but as it is interpreted by those who pretend to administer it  the properties, liberties, and lives of the entire people of the United States are surrendered unreservedly into the hands of men who, it is provided by the Constitution itself, shall never be “questioned” as to any disposal they make of them. The right of absolute and irresponsible dominion is the right of property, and the right of property is the right of absolute, irresponsible dominion. The two are identical; the one necessarily implies the other. Neither can exist without the other. If, therefore, Congress have that absolute and irresponsible law-making power, which the Constitution  according to their interpretation of it  gives them, it can only be because they own us as property. If they own us as property, they are our masters, and their will is our law. If they do not own us as property, they are not our masters, and their will, as such, is of no authority over us. If, then, nobody is individually responsible for the acts of Congress, the members of Congress are nobody’s agents. And if they are nobody’s agents, they are themselves individually responsible for their own acts, and for the acts of all whom they employ. And the authority they are exercising is simply their own individual authority; and, by the law of nature  the highest of all laws  anybody injured by their acts, anybody who is deprived by them of his property or his liberty, has the same right to hold them individually responsible, that he has to hold any other trespasser individually responsible. He has the same right to resist them, and their agents, that he has to resist any other trespassers. It is plain, then, that on general principles of law and reason  such principles as we all act upon in courts of justice and in common life  the Constitution is no contract; that it binds nobody, and never did bind anybody; and that all those who pretend to act by its authority, are really acting without any legitimate authority at all; that, on general principles of law and reason, they are mere usurpers, and that everybody not only has the right, but is morally bound, to treat them as such. 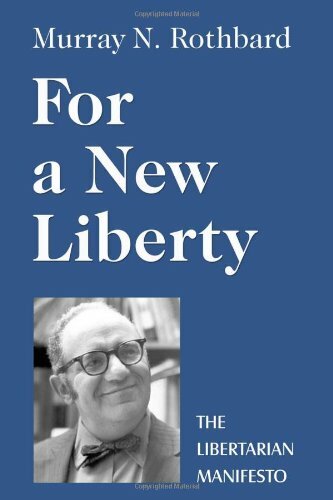 For a New Liberty: The... Murray N. Rothbard Best Price: $23.35 Buy New $81.55 (as of 09:35 EDT - Details) If any number of men, many or few, claim the right to govern the people of this country, let them make and sign an open compact with each other to do so. Let them thus make themselves individually known to those whom they propose to govern. And let them thus openly take the legitimate responsibility of their acts. How many of those who now support the Constitution, will ever do this? How many will ever dare openly proclaim their right to govern? or take the legitimate responsibility of their acts? Not one! On general principles of law and reason, the oaths which these pretended agents of the people take “to support the Constitution,” are of no validity or obligation. And why? For this, if for no other reason, viz., that they are given to nobody. There is no privity (as the lawyers say)  that is, no mutual recognition, consent, and agreement  between those who take these oaths, and any other persons. It would not alter the case at all to say that, among these hundred thousand persons, in whose presence the oath was taken, there were two, three, or five thousand male adults, who had secretly  by secret ballot, and in a way to avoid making themselves individually known to me, or to the remainder of the hundred thousand  designated me as their agent to rule, control, plunder, and, if need be, murder, these hundred thousand people. The fact that they had designated me secretly, and in a manner to prevent my knowing them individually, prevents all privity between them and me; and consequently makes it impossible that there can be any contract, or pledge of faith, on my part towards them; for it is impossible that I can pledge my faith, in any legal sense, to a man whom I neither know, nor have any means of knowing, individually. Of course his oath, professedly given to them, “to support the Constitution,” is, on general principles of law and reason, an oath given to nobody. It pledges his faith to nobody. If he fails to fulfill his oath, not a single person can come forward, and say to him, you have betrayed me, or broken faith with me. 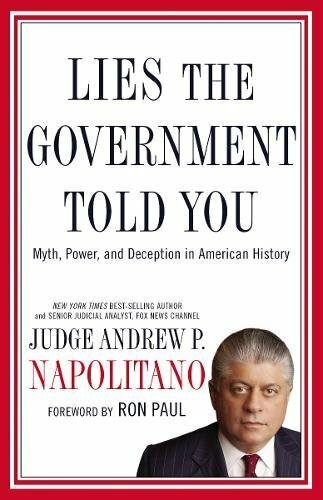 Lies the Government To... Andrew P. Napolitano Best Price: $0.98 Buy New $5.00 (as of 07:20 EDT - Details) On general principles of law and reason, every corporation, association, or organized body of men, having a legitimate corporate existence, and legitimate corporate rights, must consist of certain known individuals, who can prove, by legitimate and reasonable evidence, their membership. But nothing of this kind can be proved in regard to the corporation, or body of men, who call themselves “the United States.” Not a man of them, in all the Northern States, can prove by any legitimate evidence, such as is required to prove membership in other legal corporations, that he himself, or any other man whom he can name, is a member of any corporation or association called “the United States,” or “the people of the United States,” or, consequently, that there is any such corporation. And since no such corporation can be proved to exist, it cannot of course be proved that the oaths of Southern men were given to any such corporation. The most that can be claimed is that the oaths were given to a secret band of robbers and murderers, who called themselves “the United States,” and extorted those oaths. But that is certainly not enough to prove that the oaths are of any obligation. On general principles of law and reason, debts contracted in the name of “the United States,” or of “the people of the United States,” are of no validity. It is utterly absurd to pretend that debts to the amount of twenty-five hundred millions of dollars are binding upon thirty-five or forty millions of people, when there is not a particle of legitimate evidence  such as would be required to prove a private debt  that can be produced against any one of them, that either he, or his properly authorized attorney, ever contracted to pay one cent. The Constitution having never been signed by anybody; and there being no other open, written, or authentic contract between any parties whatever, by virtue of which the United States government, so called, is maintained; and it being well known that none but male persons, of twenty-one years of age and upwards, are allowed any voice in the government; and it being also well known that a large number of these adult persons seldom or never vote at all; and that all those who do vote, do so secretly (by secret ballot), and in a way to prevent their individual votes being known, either to the world, or even to each other; and consequently in a way to make no one openly responsible for the acts of their agents, or representatives,  all these things being known, the questions arise: Who compose the real governing power in the country? Who are the men, the responsible men, who rob us of our property? Restrain us of our liberty? Subject us to their arbitrary dominion? And devastate our homes, and shoot us down by the hundreds of thousands, if we resist? How shall we find these men? How shall we know them from others? How shall we defend ourselves and our property against them? Who, of our neighbors, are members of this secret band of robbers and murderers? How can we know which are their houses, that we may burn or demolish them? Which their property, that we may destroy it? Which their persons, that we may kill them, and rid the world and ourselves of such tyrants and monsters? The Rothschilds, and that class of money-lenders of whom they are the representatives and agents  men who never think of lending a shilling to their next-door neighbors, for purposes of honest industry, unless upon the most ample security, and at the highest rate of interest  stand ready, at all times, to lend money in unlimited amounts to those robbers and murderers, who call themselves governments, to be expended in shooting down those who do not submit quietly to being robbed and enslaved. Thus it is evident that all these men, who call themselves by the high-sounding names of Emperors, Kings, Sovereigns, Monarchs, Most Christian Majesties, Most Catholic Majesties, High Mightinesses, Most Serene and Potent Princes, and the like, and who claim to rule “by the grace of God,” by “Divine Right”  that is, by special authority from Heaven  are intrinsically not only the merest miscreants and wretches, engaged solely in plundering, enslaving, and murdering their fellow men, but that they are also the merest hangers on, the servile, obsequious, fawning dependents and tools of these blood-money loan-mongers, on whom they rely for the means to carry on their crimes. These loan-mongers, like the Rothschilds, laugh in their sleeves, and say to themselves: These despicable creatures, who call themselves emperors, and kings, and majesties, and most serene and potent princes; who profess to wear crowns, and sit on thrones; who deck themselves with ribbons, and feathers, and jewels; and surround themselves with hired flatterers and lickspittles; and whom we suffer to strut around, and palm themselves off, upon fools and slaves, as sovereigns and lawgivers specially appointed by Almighty God; and to hold themselves out as the sole fountains of honors, and dignities, and wealth, and power  all these miscreants and impostors know that we make them, and use them; that in us they live, move, and have their being; that we require them (as the price of their positions) to take upon themselves all the labor, all the danger, and all the odium of all the crimes they commit for our profit; and that we will unmake them, strip them of their gewgaws, and send them out into the world as beggars, or give them over to the vengeance of the people they have enslaved, the moment they refuse to commit any crime we require of them, or to pay over to us such share of the proceeds of their robberies as we see fit to demand. What is important to be noticed is, that these so-called presidents, senators, and representatives, these pretended agents of all “the people of the United States,” the moment their exactions meet with any formidable resistance from any portion of “the people” themselves, are obliged, like their co-robbers and murderers in Europe, to fly at once to the lenders of blood money, for the means to sustain their power. And they borrow their money on the same principle, and for the same purpose, viz., to be expended in shooting down all those “people of the United States”  their own constituents and principals, as they profess to call them  who resist the robberies and enslavements which these borrowers of the money are practicing upon them. And they expect to repay the loans, if at all, only from the proceeds of the future robberies, which they anticipate it will be easy for them and their successors to perpetrate through a long series of years, upon their pretended principals, if they can but shoot down now some hundreds of thousands of them, and thus strike terror into the rest. Notwithstanding all this, that we had learned, and known, and professed, for nearly a century, these lenders of blood money had, for a long series of years previous to the war, been the willing accomplices of the slave-holders in perverting the government from the purposes of liberty and justice, to the greatest of crimes. They had been such accomplices for a purely pecuniary consideration, to wit, a control of the markets in the South; in other words, the privilege of holding the slave-holders themselves in industrial and commercial subjection to the manufacturers and merchants of the North (who afterwards furnished the money for the war). And these Northern merchants and manufacturers, these lenders of blood-money, were willing to continue to be the accomplices of the slave-holders in the future, for the same pecuniary considerations. But the slave-holders, either doubting the fidelity of their Northern allies, or feeling themselves strong enough to keep their slaves in subjection without Northern assistance, would no longer pay the price which these Northern men demanded. And it was to enforce this price in the future  that is, to monopolize the Southern markets, to maintain their industrial and commercial control over the South  that these Northern manufacturers and merchants lent some of the profits of their former monopolies for the war, in order to secure to themselves the same, or greater, monopolies in the future. These  and not any love of liberty or justice  were the motives on which the money for the war was lent by the North. In short, the North said to the slave-holders: If you will not pay us our price (give us control of your markets) for our assistance against your slaves, we will secure the same price (keep control of your markets) by helping your slaves against you, and using them as our tools for maintaining dominion over you; for the control of your markets we will have, whether the tools we use for that purpose be black or white, and be the cost, in blood and money, what it may. And now these lenders of blood-money demand their pay; and the government, so called, becomes their tool, their servile, slavish, villainous tool, to extort it from the labor of the enslaved people both of the North and South. It is to be extorted by every form of direct, and indirect, and unequal taxation. Not only the nominal debt and interest  enormous as the latter was  are to be paid in full; but these holders of the debt are to be paid still further  and perhaps doubly, triply, or quadruply paid  by such tariffs on imports as will enable our home manufacturers to realize enormous prices for their commodities; also by such monopolies in banking as will enable them to keep control of, and thus enslave and plunder, the industry and trade of the great body of the Northern people themselves. In short, the industrial and commercial slavery of the great body of the people, North and South, black and white, is the price which these lenders of blood money demand, and insist upon, and are determined to secure, in return for the money lent for the war. The pretense that the “abolition of slavery” was either a motive or justification for the war, is a fraud of the same character with that of “maintaining the national honor.” Who, but such usurpers, robbers, and murderers as they, ever established slavery? Or what government, except one resting upon the sword, like the one we now have, was ever capable of maintaining slavery? And why did these men abolish slavery? Not from any love of liberty in general  not as an act of justice to the black man himself, but only “as a war measure,” and because they wanted his assistance, and that of his friends, in carrying on the war they had undertaken for maintaining and intensifying that political, commercial, and industrial slavery, to which they have subjected the great body of the people, both black and white. And yet these impostors now cry out that they have abolished the chattel slavery of the black man  although that was not the motive of the war  as if they thought they could thereby conceal, atone for, or justify that other slavery which they were fighting to perpetuate, and to render more rigorous and inexorable than it ever was before. There was no difference of principle  but only of degree  between the slavery they boast they have abolished, and the slavery they were fighting to preserve; for all restraints upon men’s natural liberty, not necessary for the simple maintenance of justice, are of the nature of slavery, and differ from each other only in degree. Their pretenses that they have “Saved the Country,” and “Preserved our Glorious Union,” are frauds like all the rest of their pretenses. By them they mean simply that they have subjugated, and maintained their power over, an unwilling people. This they call “Saving the Country”; as if an enslaved and subjugated people  or as if any people kept in subjection by the sword (as it is intended that all of us shall be hereafter)  could be said to have any country. This, too, they call “Preserving our Glorious Union”; as if there could be said to be any Union, glorious or inglorious, that was not voluntary. Or as if there could be said to be any union between masters and slaves; between those who conquer, and those who are subjugated. All these cries of having “abolished slavery,” of having “saved the country,” of having “preserved the union,” of establishing “a government of consent,” and of “maintaining the national honor,” are all gross, shameless, transparent cheats  so transparent that they ought to deceive no one  when uttered as justifications for the war, or for the government that has succeeded the war, or for now compelling the people to pay the cost of the war, or for compelling anybody to support a government that he does not want. The lesson taught by all these facts is this: As long as mankind continue to pay “national debts,” so-called  that is, so long as they are such dupes and cowards as to pay for being cheated, plundered, enslaved, and murdered  so long there will be enough to lend the money for those purposes; and with that money a plenty of tools, called soldiers, can be hired to keep them in subjection. But when they refuse any longer to pay for being thus cheated, plundered, enslaved, and murdered, they will cease to have cheats, and usurpers, and robbers, and murderers and blood-money loan-mongers for masters. APPENDIX. Inasmuch as the Constitution was never signed, nor agreed to, by anybody, as a contract, and therefore never bound anybody, and is now binding upon nobody; and is, moreover, such an one as no people can ever hereafter be expected to consent to, except as they may be forced to do so at the point of the bayonet, it is perhaps of no importance what its true legal meaning, as a contract, is. Nevertheless, the writer thinks it proper to say that, in his opinion, the Constitution is no such instrument as it has generally been assumed to be; but that by false interpretations, and naked usurpations, the government has been made in practice a very widely, and almost wholly, different thing from what the Constitution itself purports to authorize. He has heretofore written much, and could write much more, to prove that such is the truth. But whether the Constitution really be one thing, or another, this much is certain  that it has either authorized such a government as we have had, or has been powerless to prevent it. In either case, it is unfit to exist. Lysander Spooner (18081887) was a lawyer, writer, entrepreneur, and libertarian activist.